This chapter offers an overview of primary Big Data sets ‘owned’ by or formally accessible to UK law enforcement. It examines, through the lens of practitioners, how Big Data is utilised in mitigating identified or anticipated harm to individuals and communities. It outlines accompanying oversight and governance arrangements. 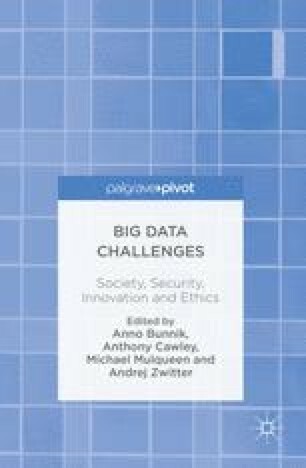 The chapter explores key organisational, technological, ethical, and cultural challenges faced by law enforcement seeking to exploit Big Data when discharging legal responsibilities in safeguarding communities, reducing crime, and addressing anti-social behaviour. This chapter concludes that Big Data is critical for enhanced public safety but that optimal use is hampered by inadequate staff skills, technological dysfunctionality, organisational risk aversion to information, and an absence of engagement and effort with the public.